The pace of business is moving faster than ever. And the Agile approach that development teams have adopted has led to big changes in people, processes and tools that organizations use to develop software testing. If you have worked in testing for a long time, chances are you have used legacy software tools like Test Director, HP Quality Center, or HP ALM in your software development team. And chances are that your experiences aren’t or weren’t so great. I come across organizations every day that are looking to overcome challenges they face in balancing speed and quality. Today, modern testing tools are essential to releasing software at a faster, more agile pace. 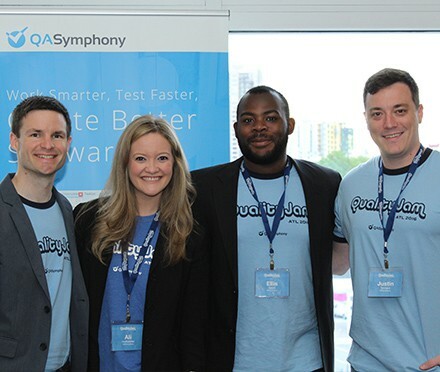 So I thought it would be interesting to gather together a list of the top five reasons I hear on why HP Quality Center users make the switch to qTest. It’s not a secret that Agile Software development is taking over traditional waterfall development. If your organization is currently starting an agile transformation initiative your boss is likely bringing in expert agile coaches to walk through the new process changes that will propel your team into the agile frontier. This also means that agile process changes typically bring in agile tools. JIRA, VersionOne, and CA Agile Central (formerly Rally) have been the three top choices for agile development teams. And while they are geared specifically towards issue tracking and project management, they lack in test case management. qTest was built to be the agile test case management platform that you team needs when adopting these type of tools. For example, our integration will all these tools is not built on a scheduled synchronization that you will find with HP. Rather, we have a built native integrations that allows true, real-time data flows to connect testing with development. Most Legacy products still follow the perpetual model for service agreements. Meaning they have huge up front implementation costs, along with yearly maintenance packages. If you want to update to the latest version, then there is also a charge for that as well. Lot’s of hidden costs for subpar for outsourced services. Meet Ali Huffstetler (the blonde below), one of our Customer Success Managers. Ali actually works for QASymphony. Notice that she is a real person, not someone who hides behind a support ticket forum. 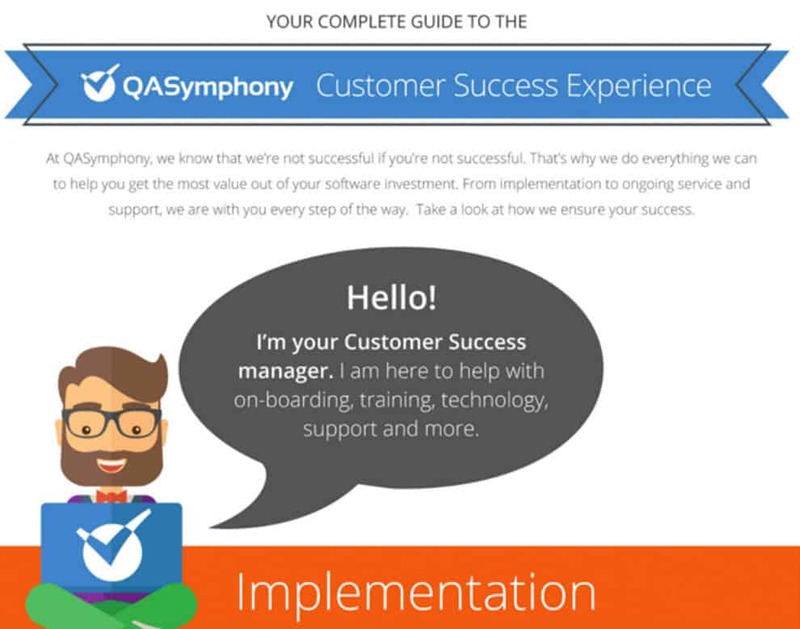 At QASymphony, each of our customers is given a Customer Success Manager that’s dedicated to your team’s success through your agreement. Our SaaS model ensures that we care about your success and will go the extra mile to make sure your team is completely satisfied. We have a great infographic that will walk you through the Customer Success Experience – from implementation to on-going services and support. Depending on which HP version your teams use, there is a good chance that it’s not cross-platform or cross-browser friendly. This is due to the .Net packages that are needed to run HPQC within your Internet Explorer browser. With qTest, users can use the browser of their choice on Chrome, Firefox, Safari, IE9, IE10 and IE11. qTest’s intuitive drag and drop interface makes test case planning and execution an enjoyable process that can be performed across the most popular browsers. Your team doesn’t have time to take weeks to learn a new testing tool. Software is waiting to be shipped out the door, and you don’t want a TCM to ever slow down the process. This is why we have a dedicated video training center and support forum to facilitate a rapid on boarding process. HPALM 12.53 comes with a massive 987 page user guide. Do you think you will have time to read all that? How about your team? Learn qTest in 30 minutes through our Video Training Center. 5) Commitment to Innovation… For Real! Be honest, when you read “Commitment to Innovation”, I bet you just rolled your eyes. I get it. It’s a cliche thing that ANY company says to let you know they are enhancing their product. Well guess what, we actually do enhance our product…and we have done it EIGHT times already this year. Additionally QASymphony has been named as a top 100 winner for the 2016 Red Herring Top 100 North America Award! We are also developing and enhancing products to facilitate agile testing, rather than just building the next shiny feature. QASymphony supports across this entire continuum while also supporting traditional manual execution and functional automation. qTest explorer is a one of a kind test case documentation tool that supports scripted and session based testing. Legacy testing tools have a release cadence that is on a one – two year cycle. Quite frankly, that’s too slow of a release cadence and clearly shows that their own internal software development process is not Agile. Why keep using legacy tools, that release on a waterfall cadence, but claim be be providing agile testing solutions? Interested in learning more check out some of our free resources in our resource library. And if you want to see what all the qTest hullabaloo is about check out for 14 day free trial.